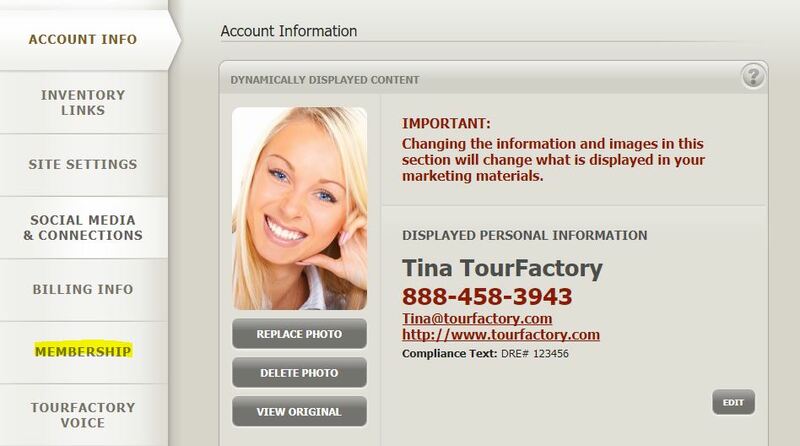 Click the tab labeled “My Account”. 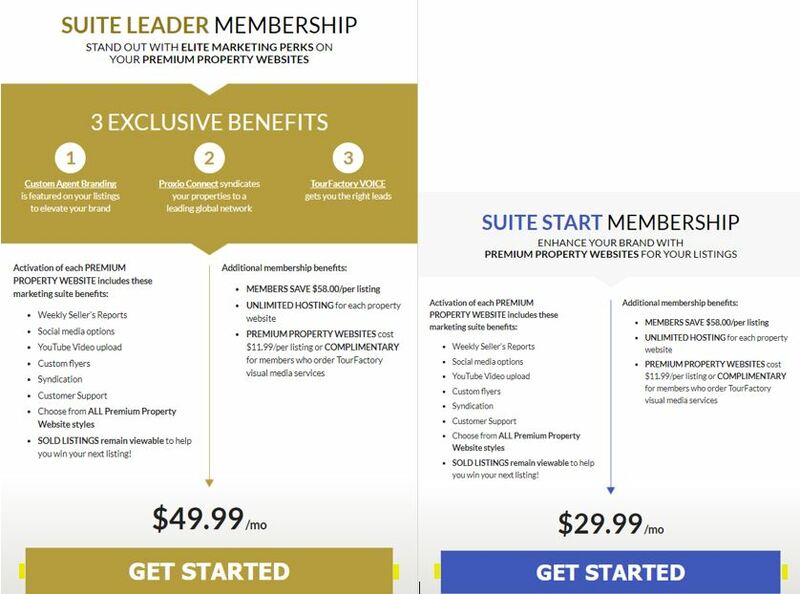 Click the gray tab on the left-hand side labeled “Membership”. Choose the membership plan that works best for you by clicking the Get Started button. Note: To view more information on each of our Memberships, click here. 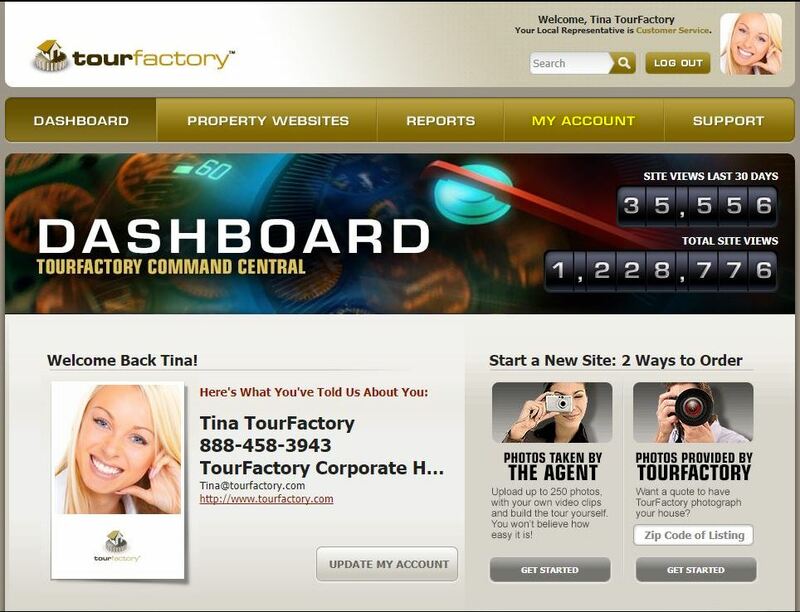 This will take you to the Review page of your TourFactory order. If everything looks okay, click “Finalize Your Order”. You will then be taken to the Checkout page. If you have a card on file you can select it or you can add a new card under the Credit Card section. 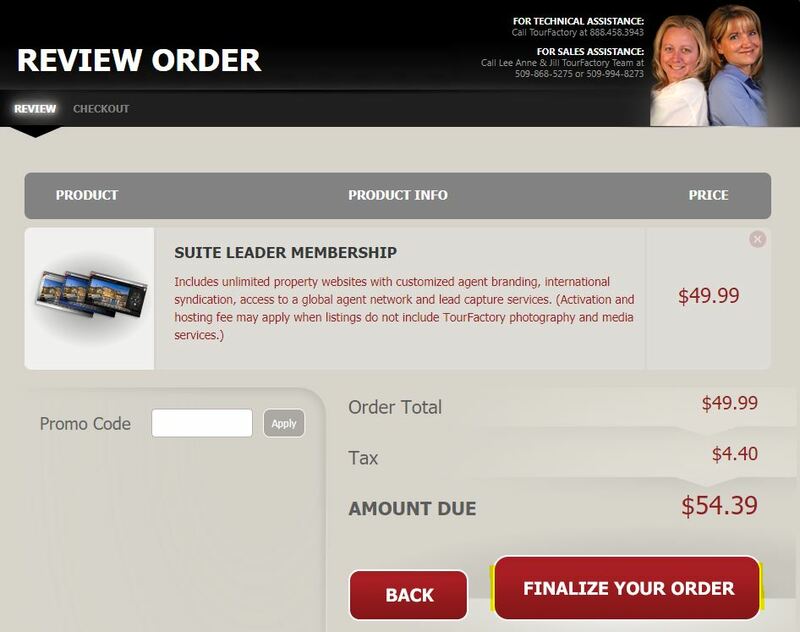 Then click the button labeled “Finalize Your Order”. You are now signed up for a monthly membership. Your membership fee will be charged on the same day each month to this credit card.